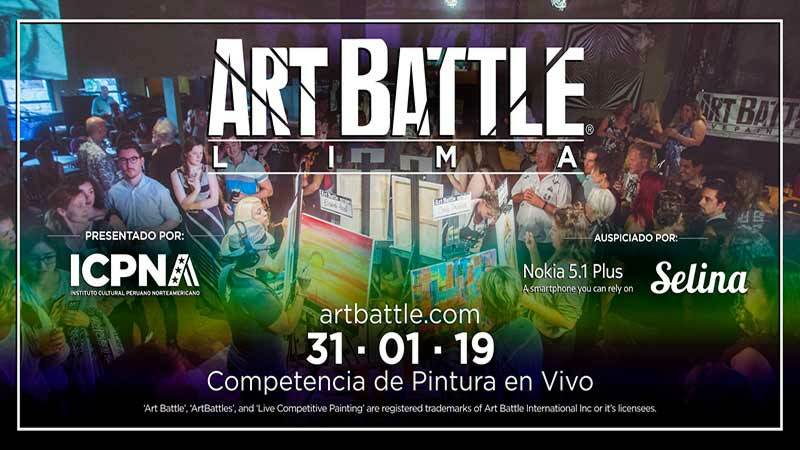 Already super successful around the globe, Art Battle, the live painting competition where local artists transform blank canvases into beautiful pieces of art in just twenty minutes and the audience votes who will win the event, is finally coming to Lima. Art Battle is a live competitive painting event. Painters will create the best work they can across three timed rounds. As they work, the audience moves around the easels, allowing them an up-close view of the creative process. The only medium used is acrylic paint and the tools allowed are brushes, palette knives or any other non-mechanical implements. At the end of the round, the audience votes for their favorite painting and the top 2 artists move on to the Final Round with a new canvas. At the end of the competition the audience can place bids in a silent auction to take the paintings home. Be part of the fun as spectator and jury or participate as artists.